Every ‘star’ WordPress blogger started out as a complete novice, and seeing as they are now ‘stars’, they were clearly able to get to the top. It might not happen overnight but with the right tools and practices, you can get to WordPress heaven (if there’s such a thing) soon enough. I have compiled a list of 20 WordPress tutorials to help you on your celestial journey. This tutorial focuses on busy, full-time workers who have to juggle family and other commitments but still want to manage their own WordPress site. If you have two to three hours a day to spare, then this tutorial could be for you. It features a time-table to let you know what you’ll be learning each day, so check the page to see what topics are covered. In the event of a hack, your account could be deleted from the database, leaving you locked out. If you understand how phpMyAdmin works and would like to learn how to create a new admin user via MySQL, then you’ll find this tutorial useful. You’ve just started your WordPress site and are now thinking of how to get loads of visitors and subscribers. Google analytics helps you with data you can use to get ahead quickly by letting you know how your visitors find you, who they are, what they do when they are on your site, when they visit, and how they interact with your content. Check out this tutorial and find out how to install the tool. This guide is an awesome place for a total rookie to start, as it covers the essentials with just about enough detail. I wouldn’t leave out rather proficient WordPress users either. It’s got a table of contents to allow you skip to whatever you’d like to read about. This versatile plugin allows you to replace default WooCommerce selections with icons, custom images, and dynamic labels. It can be adapted to contain a wide range of product features and will indicate size, colour, material and other parameters. 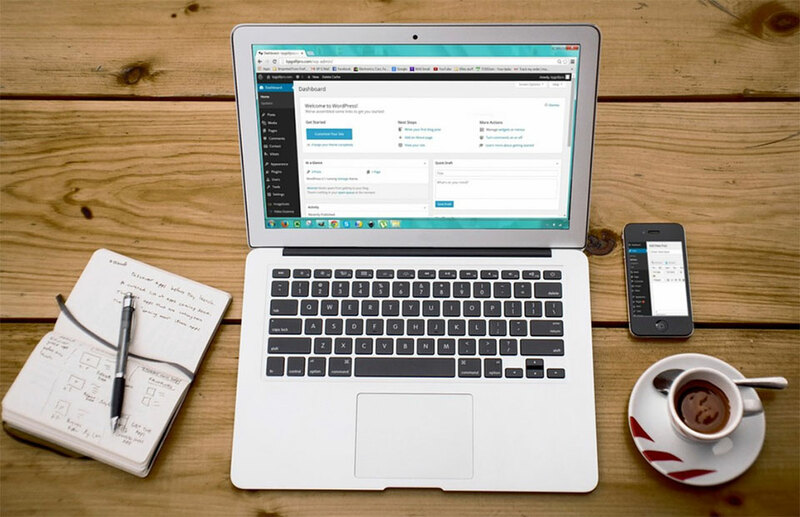 As Aliesha Ellington, Marketing and Communications Executive at www.umbrellar.com, points out, WordPress is “a slightly more customisable option than using a website builder,” and do you know where you’ll find the tools for this customisation? The dashboard. This simple tutorial helps a complete beginner make sense of the WordPress dashboard. Broken links give those annoying 404 error messages that are bad for your search rankings. This tutorial shows you how to use a plugin to check for broken links. New WordPress users often get confused about posts and pages. This simple guide will help you understand the difference. I advise that you not make the rookie mistake of not taking necessary steps to protect your site. It doesn’t matter that your site is on a smaller scale, hackers don’t discriminate. Check this article to learn how to keep your blog protected. This cheat sheet for developers is a resource I would gladly suggest to those who may want to edit a WordPress theme. It’s not just for beginners, developers already conversant with WordPress will find it useful too. If you haven’t yet decided between using WordPress.com or WordPress.org, check this tutorial to learn about the pros and cons of each. WordPress has preview tool in its text editor that lets you see what your final post would look like, but it can be a bit of a hassle if you’ll be writing long posts. Consider using this technique to learn how to customize the text editor. This is an in-depth tutorial a complete rookie will find quite valuable. It’s easy to follow and will help you to feel more at home with the WordPress Settings tab. As a new WordPress user, I suggest you use this guide to help you get started on the essentials of starting a new blog. This one might be old but is still undeniably useful for new WordPress bloggers. Siobhan McKeown took the time to ask people from across the WordPress community for their advice for new bloggers. Using a posts timeline is one of the creative ways you can make your WordPress site stand out. It’s an excellent tool for certain situations, but may not make sense for other scenarios. Look through this tutorial to find out when and how you can create a posts timeline. Maybe you’ll be blogging about controversial topics, or maybe not. Whatever the case, you may want to disable comments. Check here to learn how to do so, as well as the pros and cons of disabling them. Normally, WordPress orders posts based on the date they were published, but you might be interested in a different way to reorder your content. This tutorial presents three ways you can do so. This handy article highlights essential pages every blog should have. Have a look and you’ll certainly find a few ideas you could borrow to make your website unique. Now, let’s wrap WordPress tutorials up with this guide that shows you easy-to-follow tools you can use for maintenance. There are many WordPress tutorials available on the net. There are also many WordPress plugins that may improve your site. What to learn and what to install usually depends of what you want to achieve with your blog. So, make sure you have a clear picture about your blog in your head before you start with development.